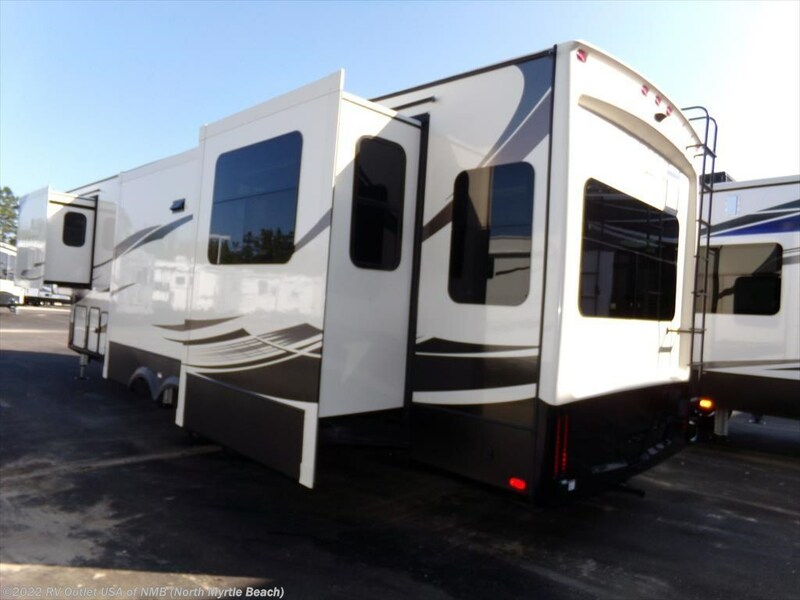 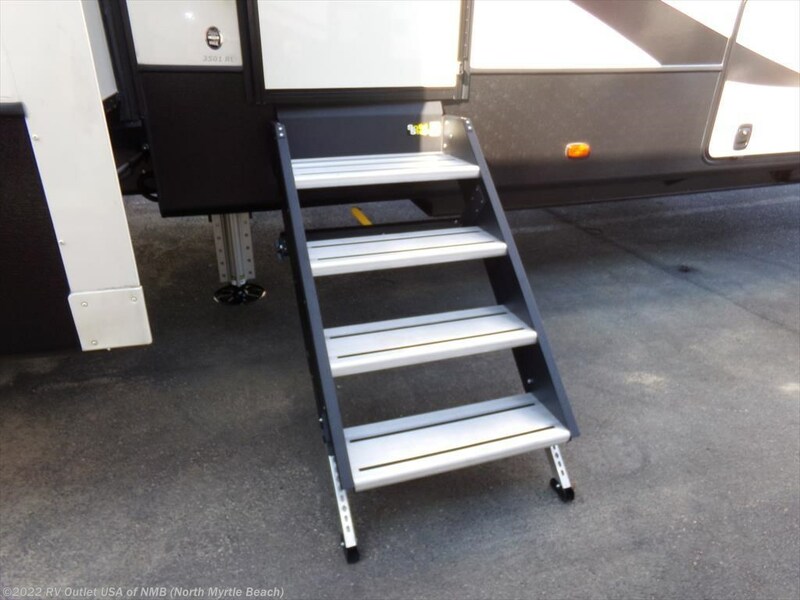 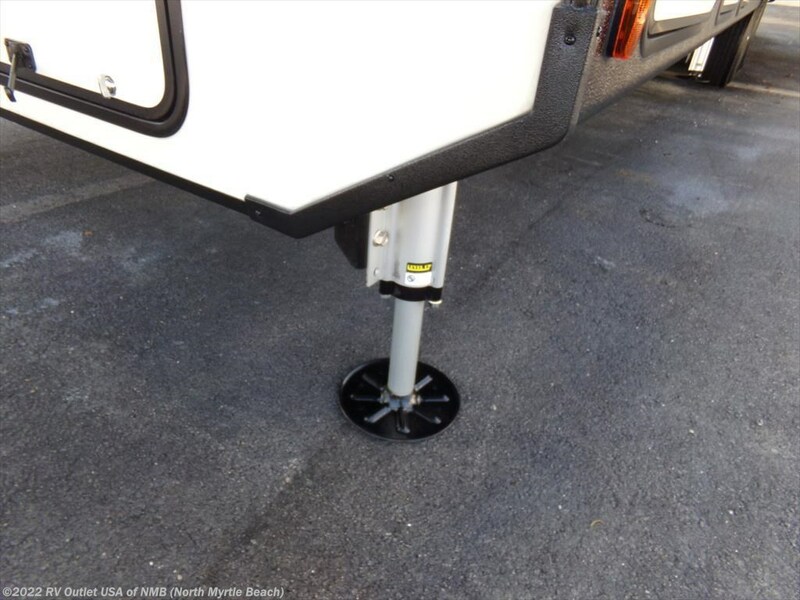 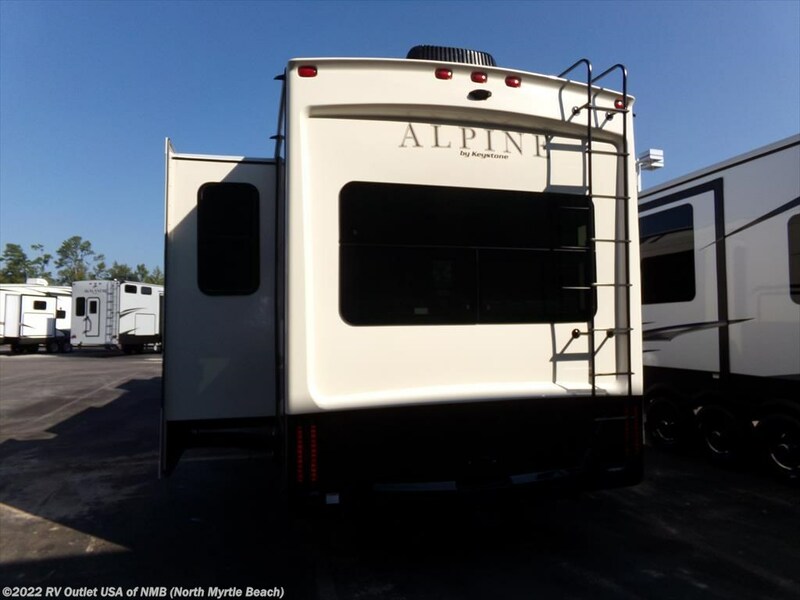 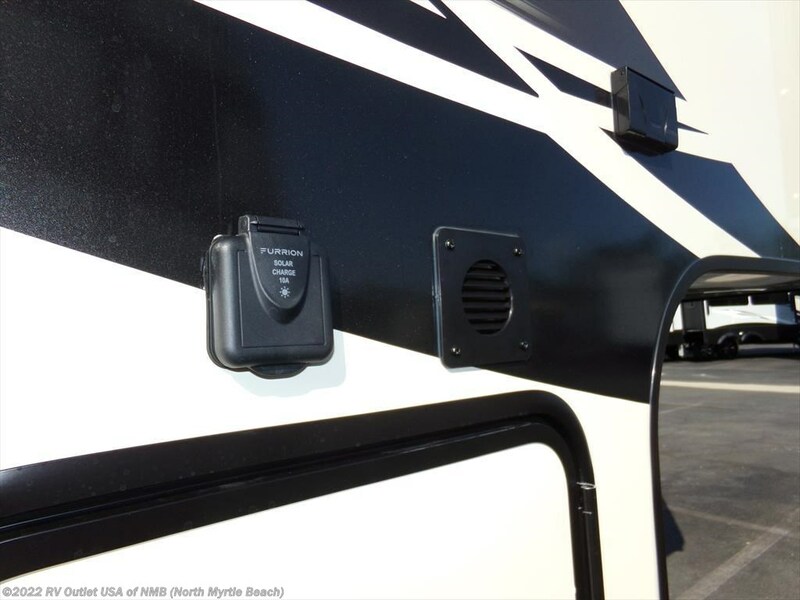 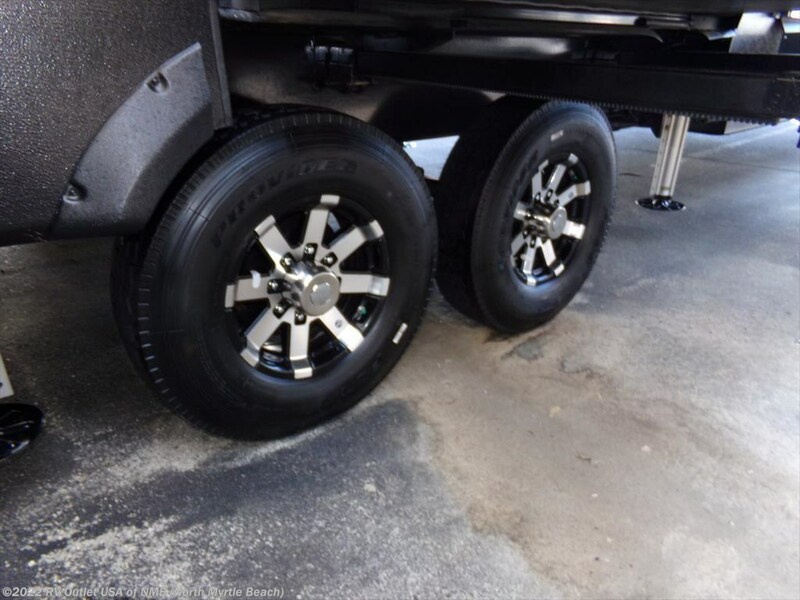 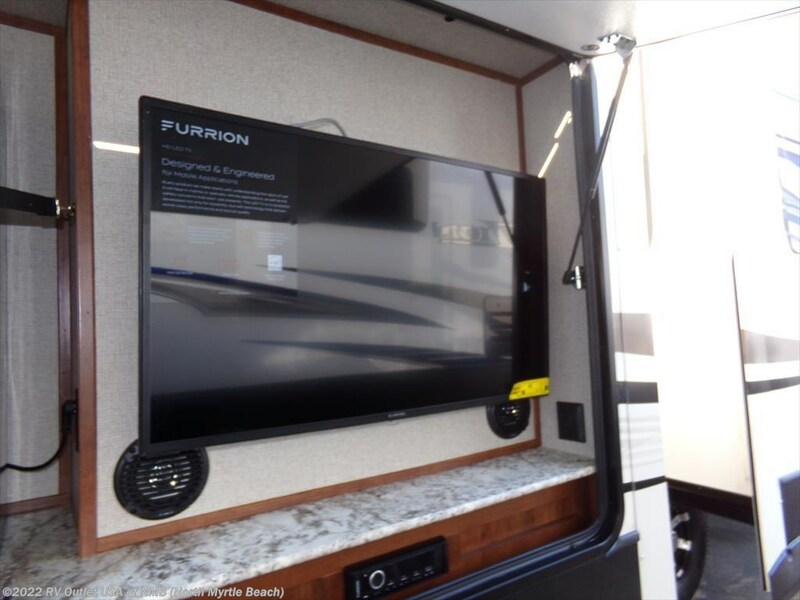 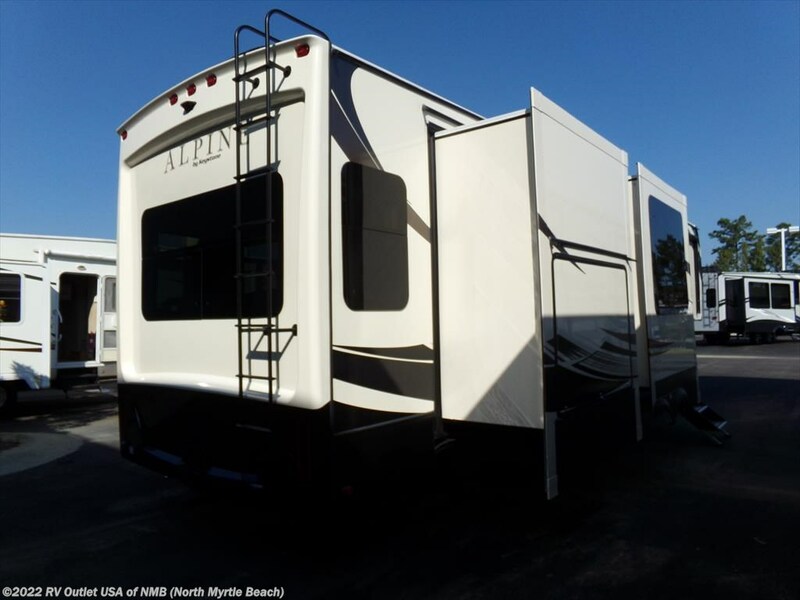 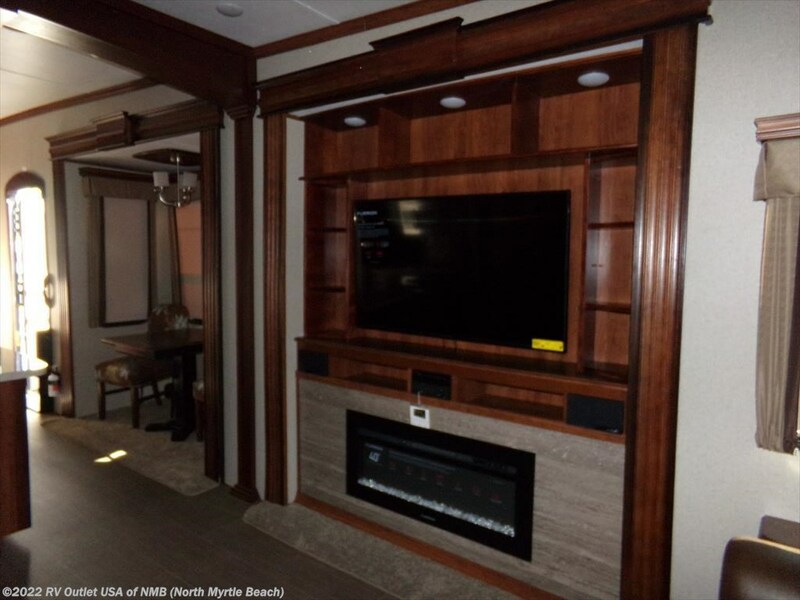 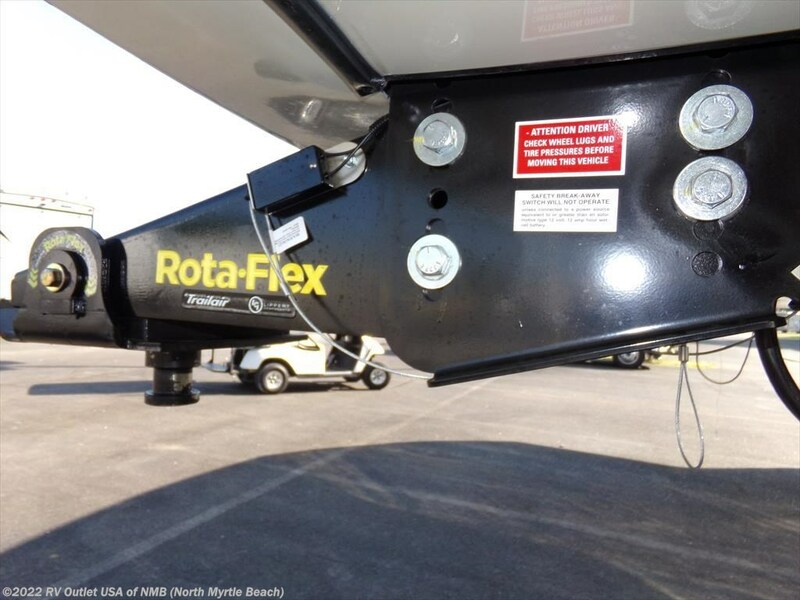 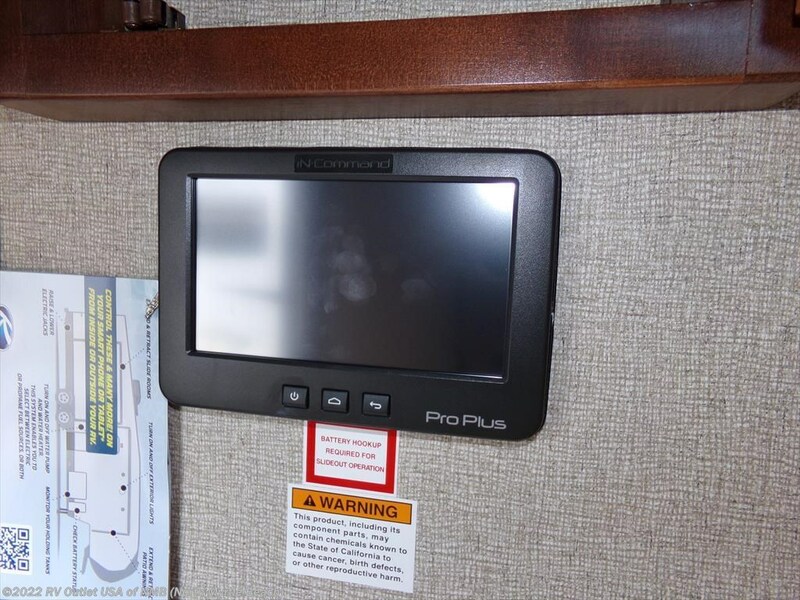 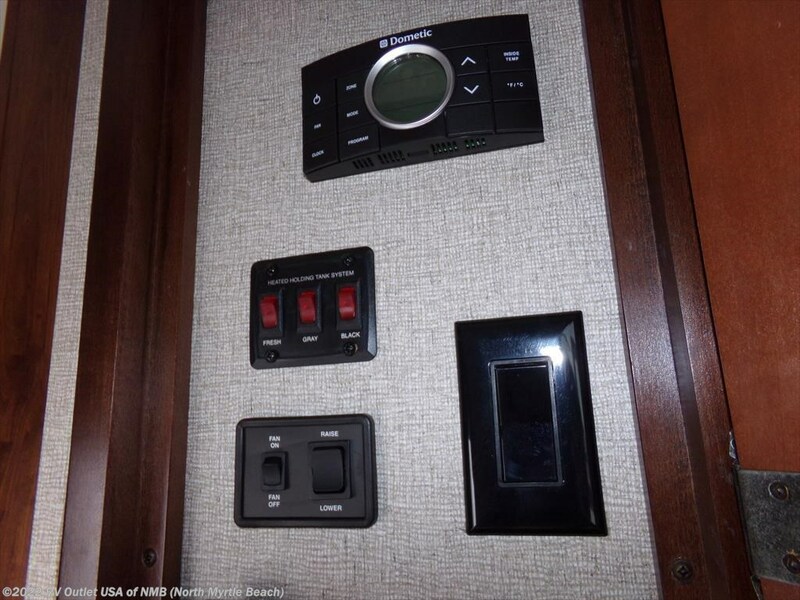 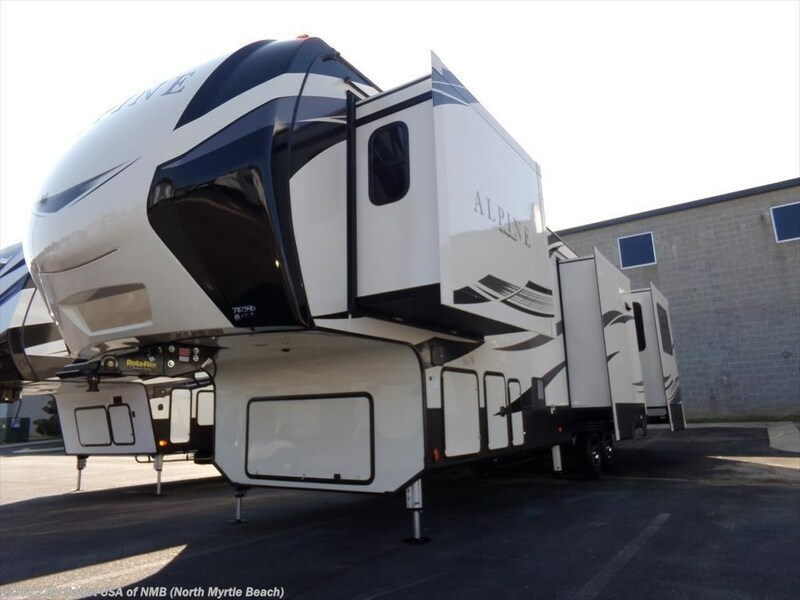 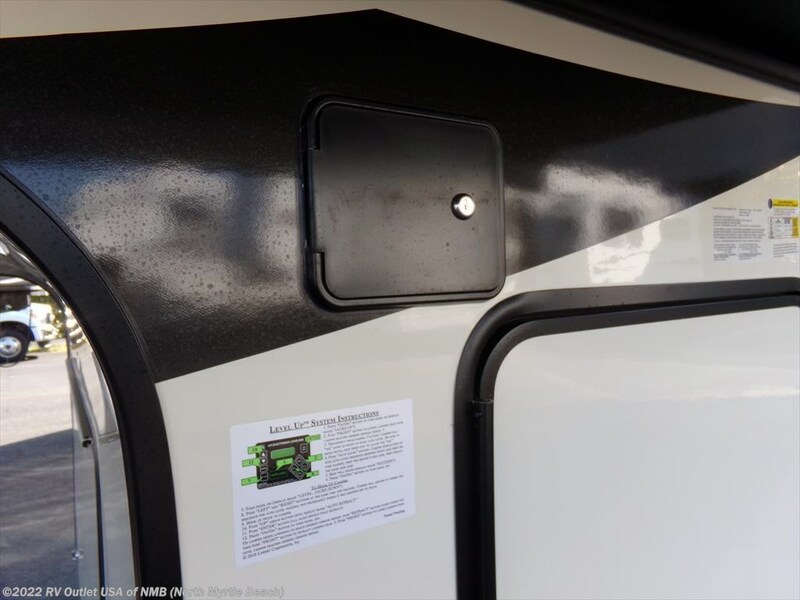 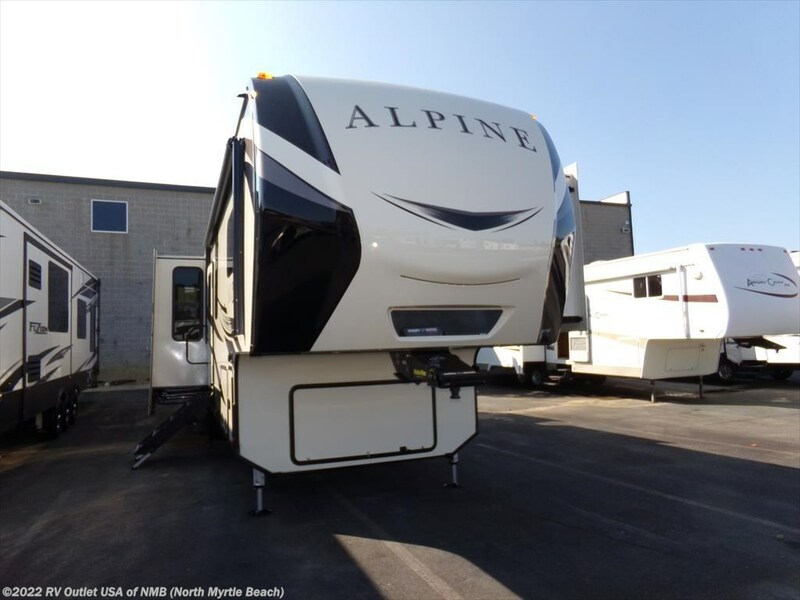 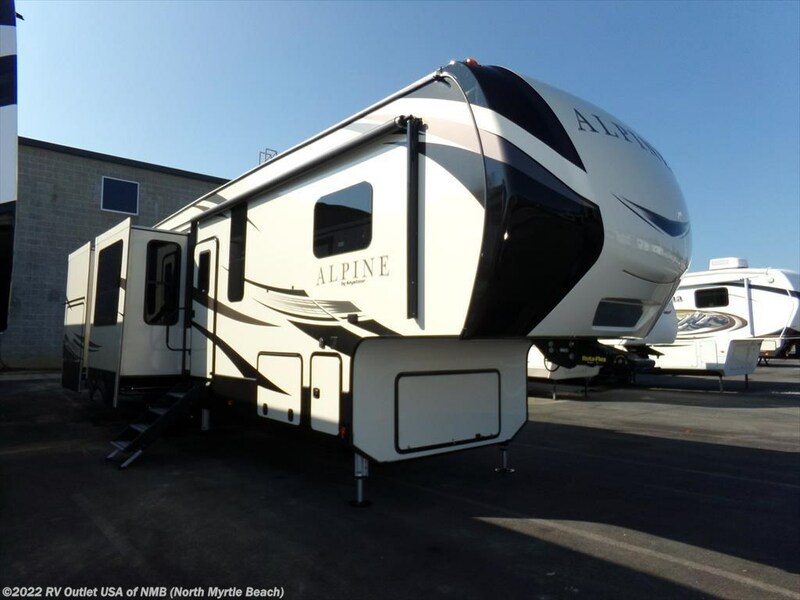 If you’re in the market for a high end, rear living fifth wheel, with a ton of bells and whistles, then you really need to take the time to look at this brand new 2018 Keystone Alpine 3501RL that we just got in. 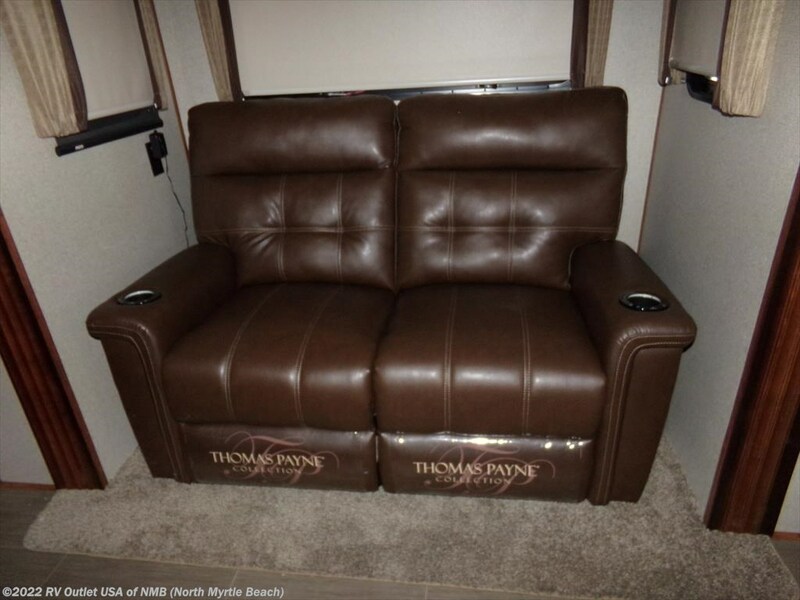 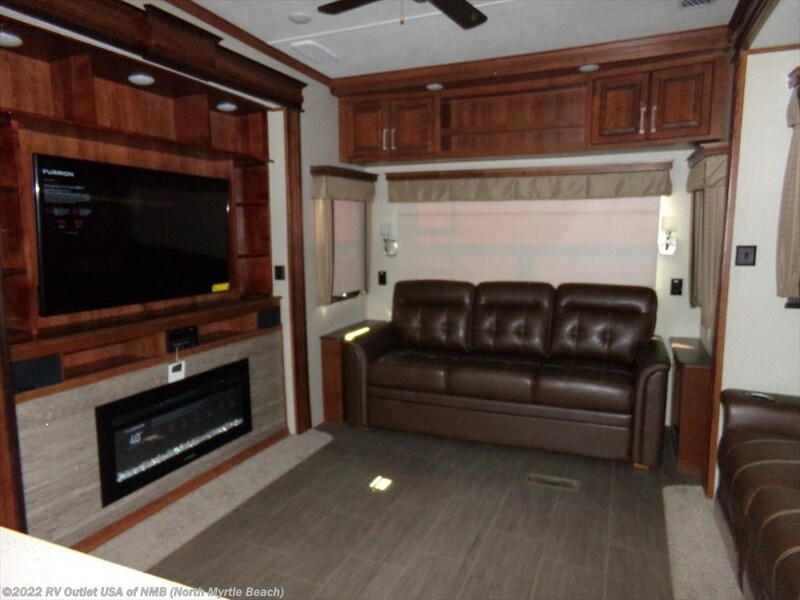 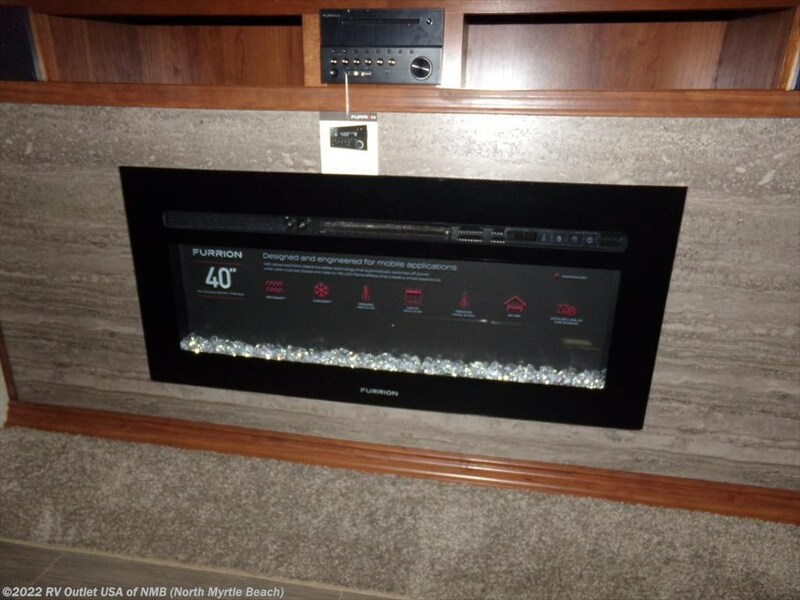 This coach has (5) slide outs with two opposing slides in the living area one slide with theater seating and the other with the entertainment center that has a LCD TV, and a fireplace. 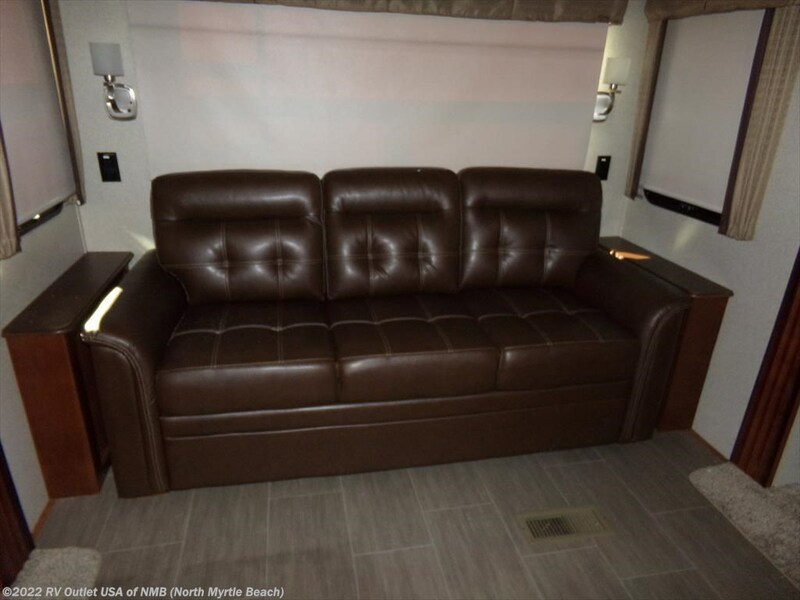 There is also on the rear wall a tri-fold sleeper sofa for more sleeping room. 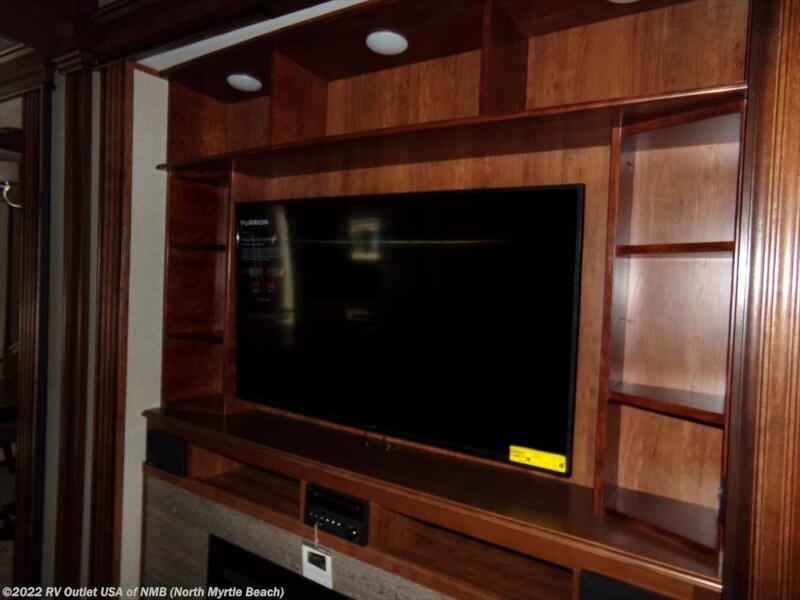 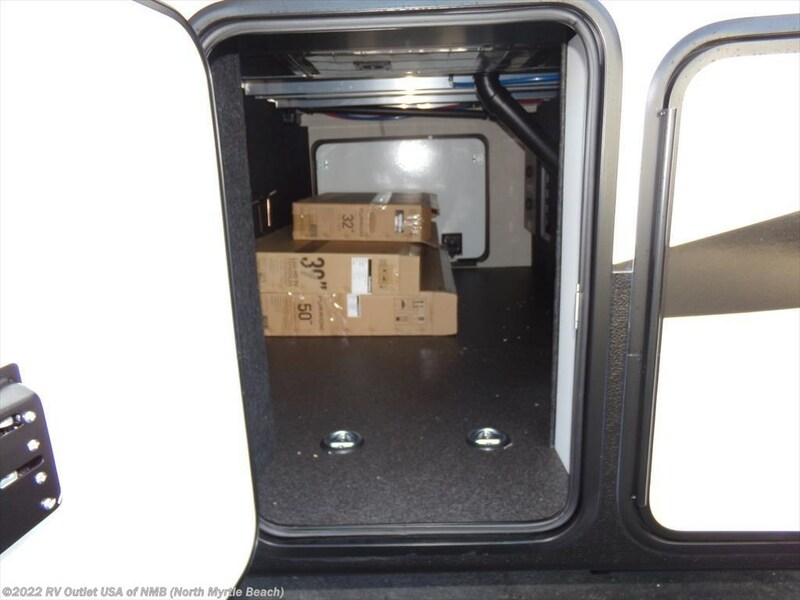 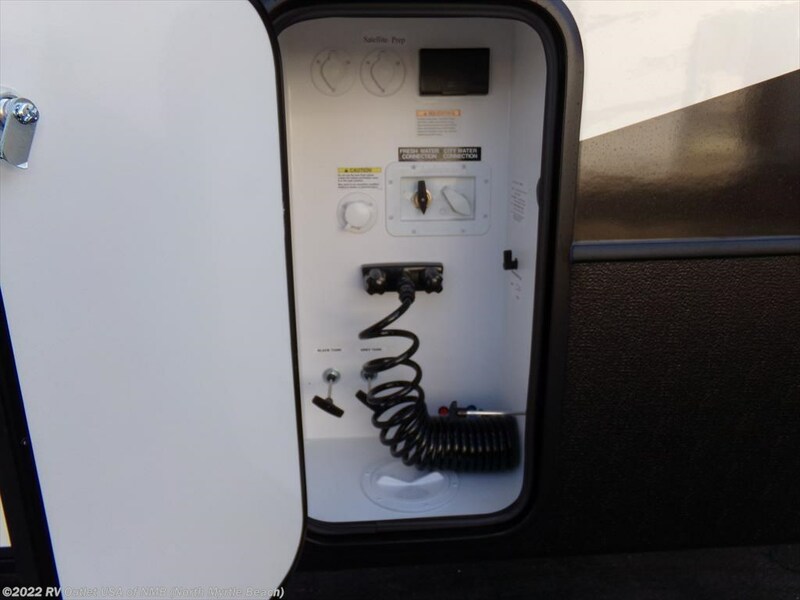 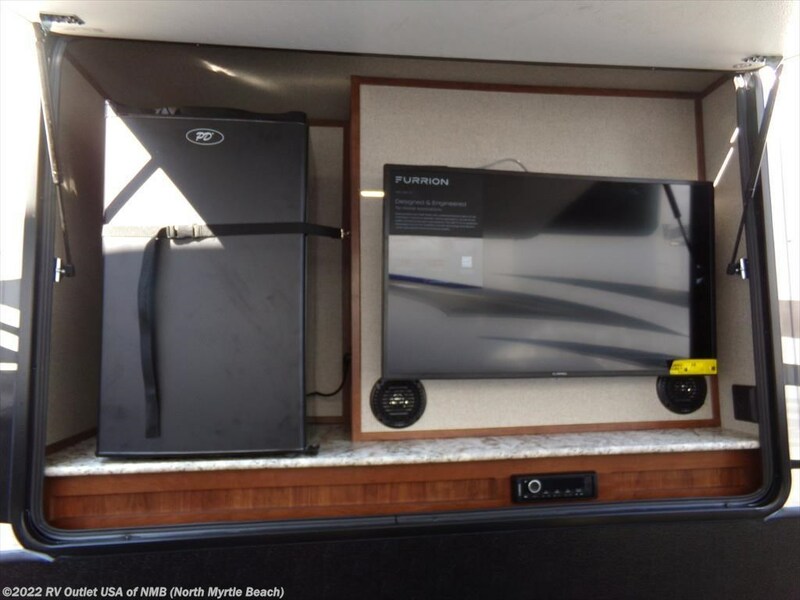 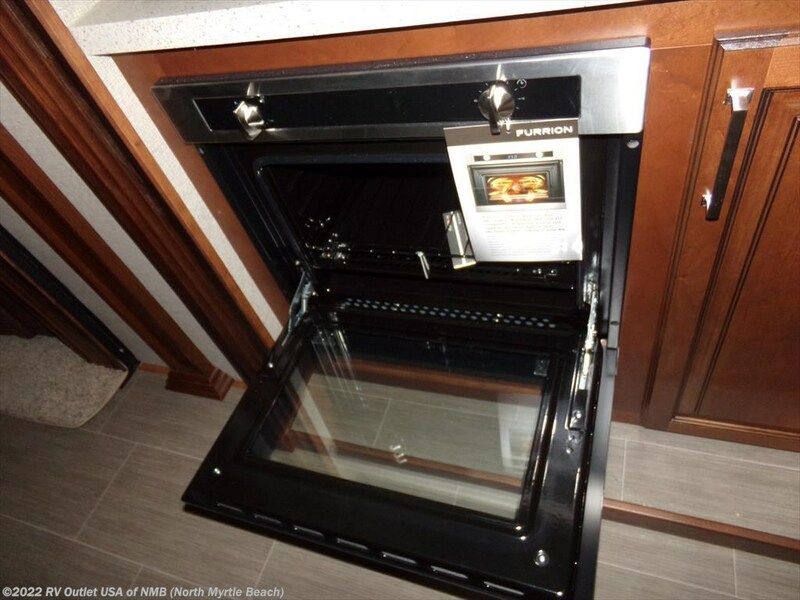 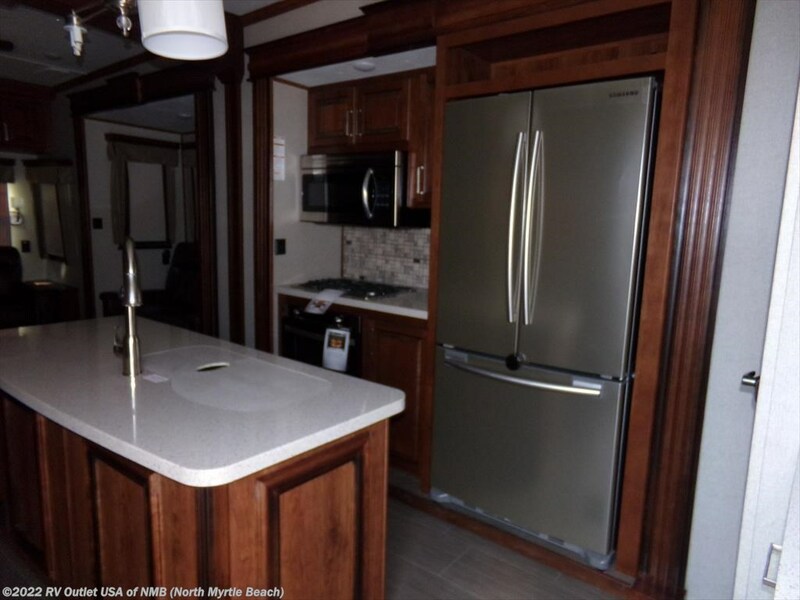 The center of the coach has a galley and offers a four door refrigerator, a microwave oven, a three burner high output stove top with oven, overhead cabinets and underneath cabinets for storage. 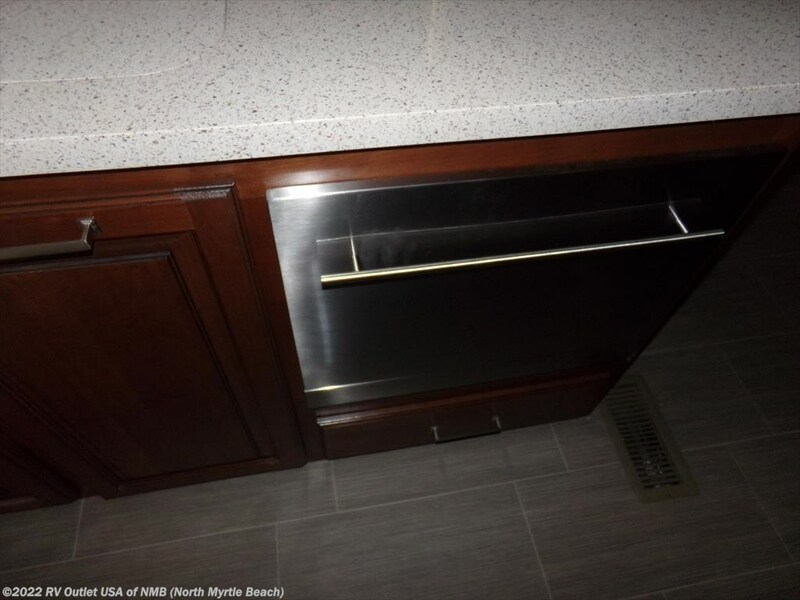 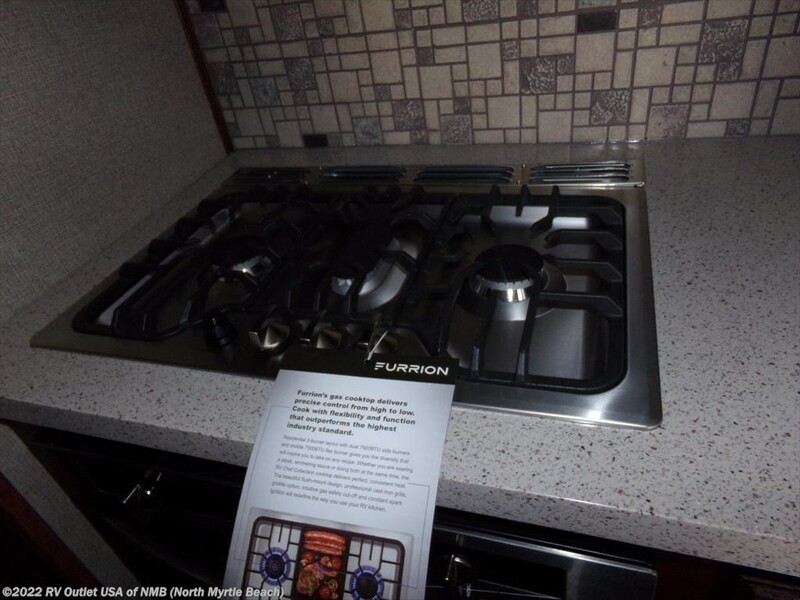 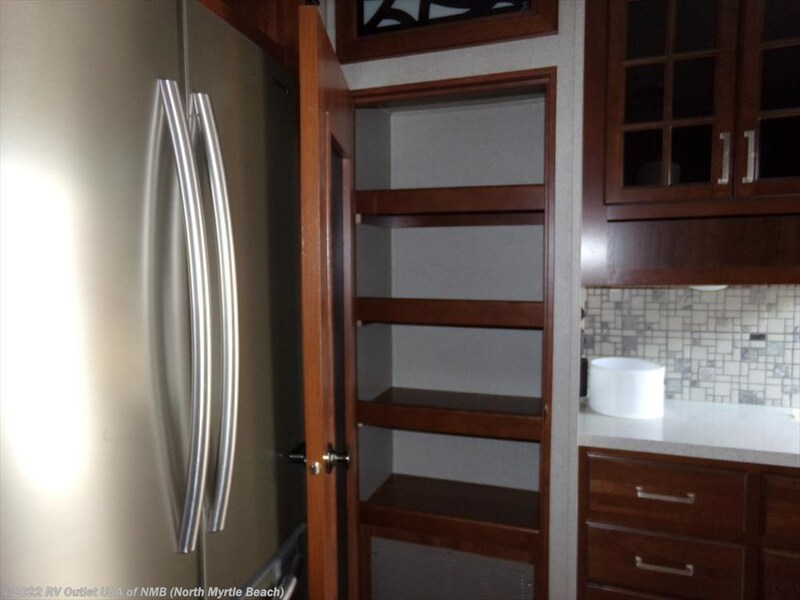 This coach does have an island with a double sink and underneath cabinets. 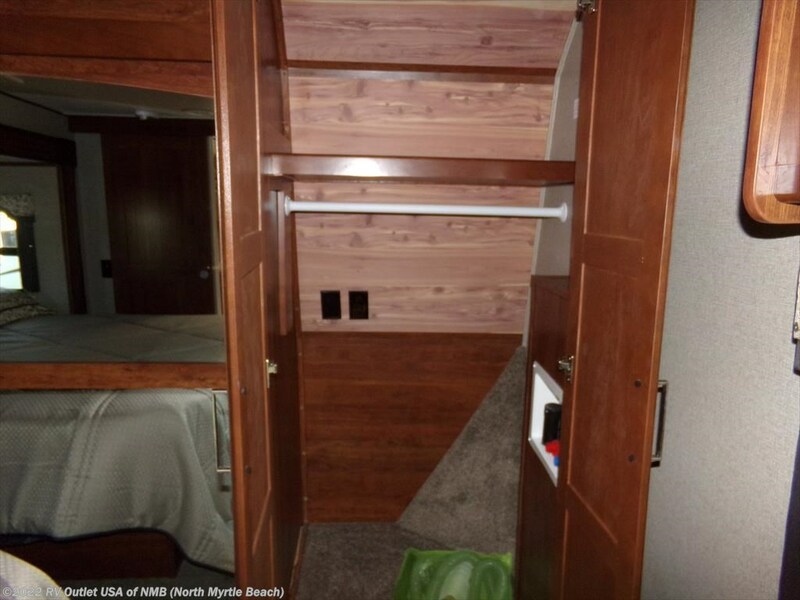 There is also a free standing dinette on the door side on another slide. 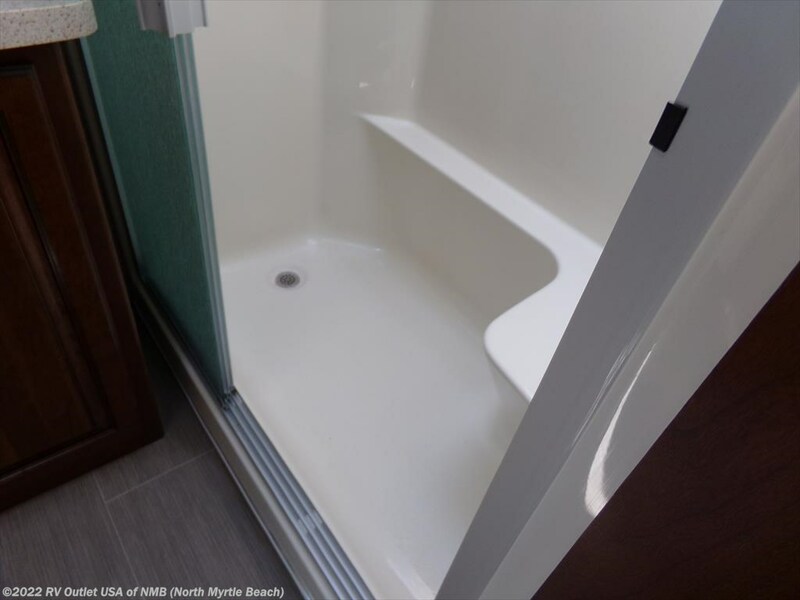 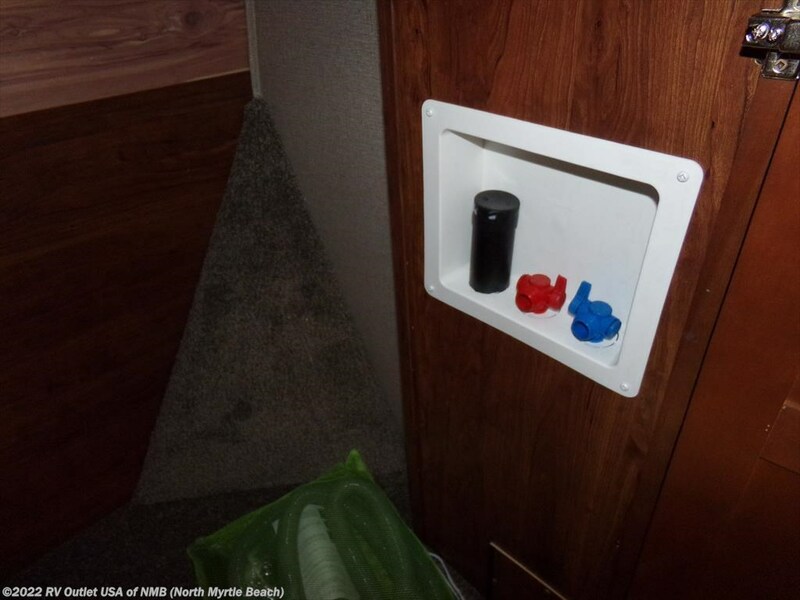 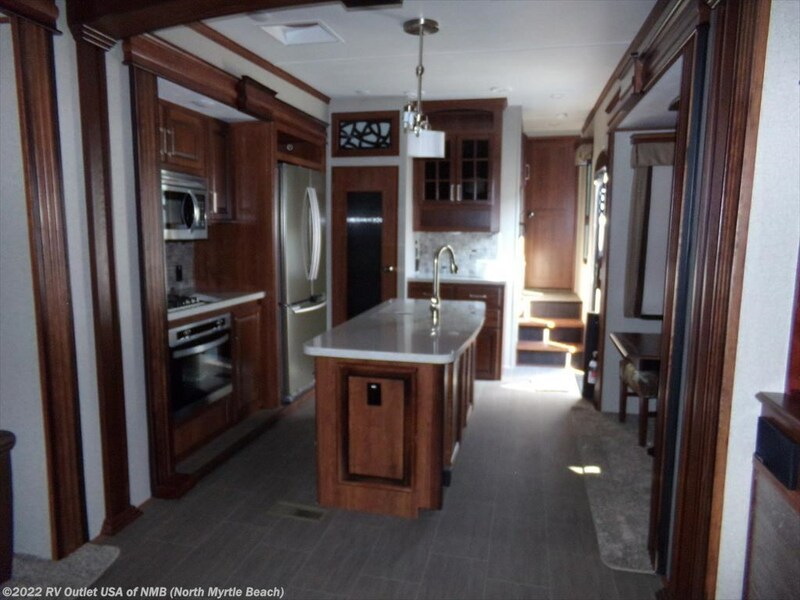 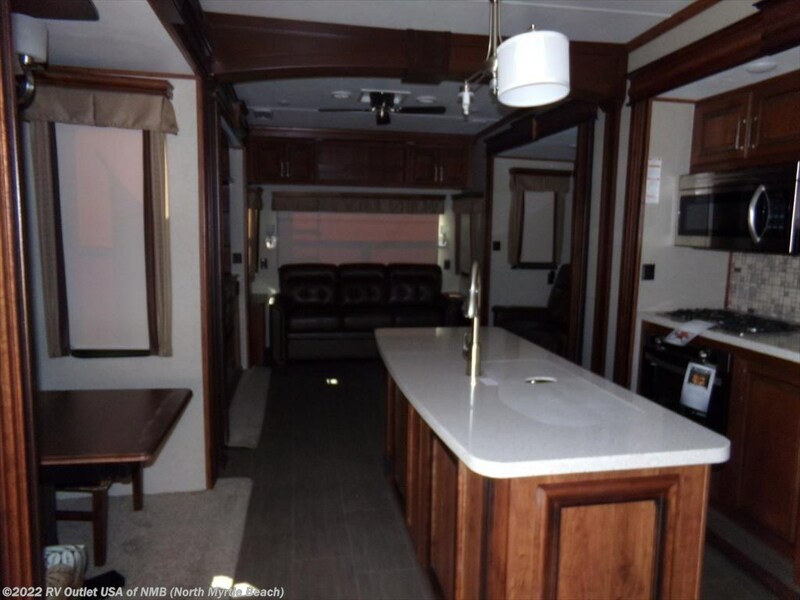 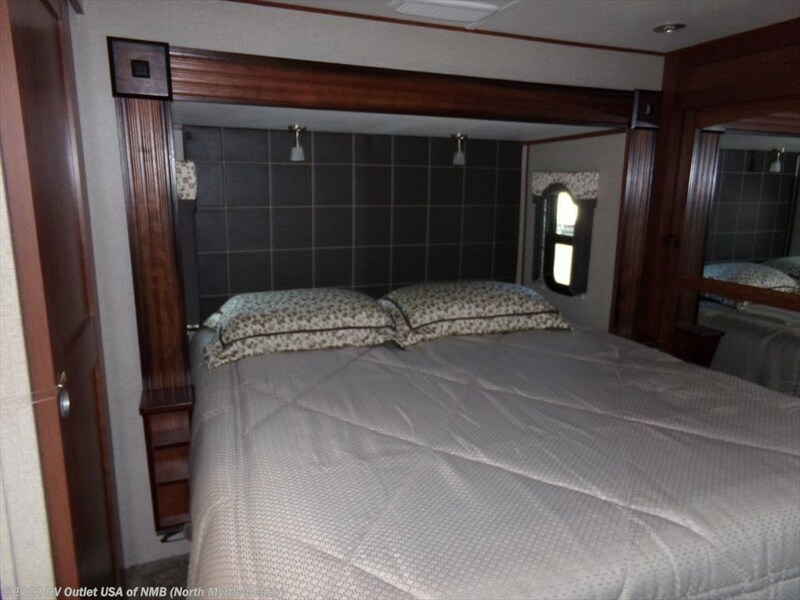 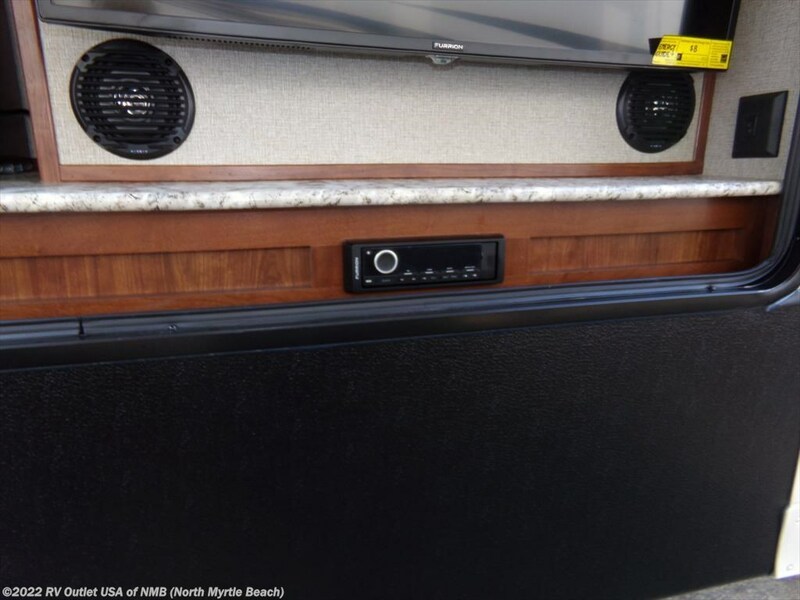 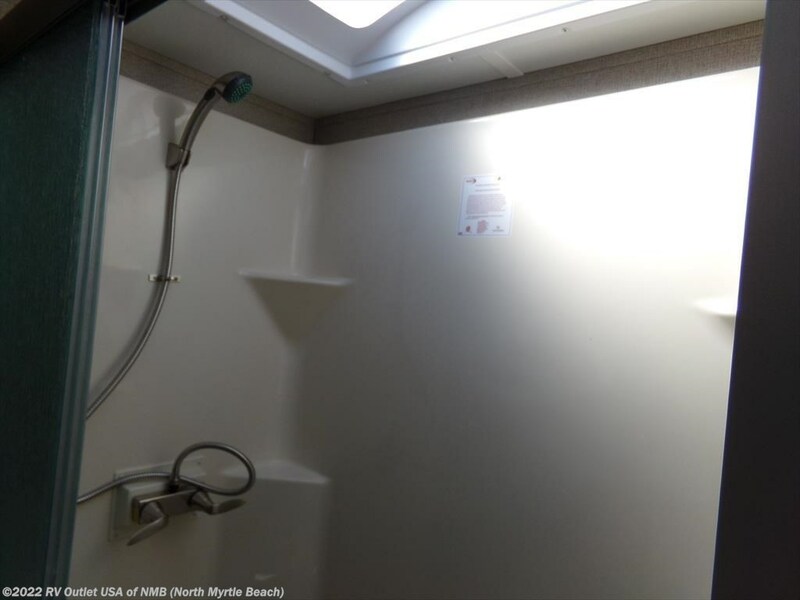 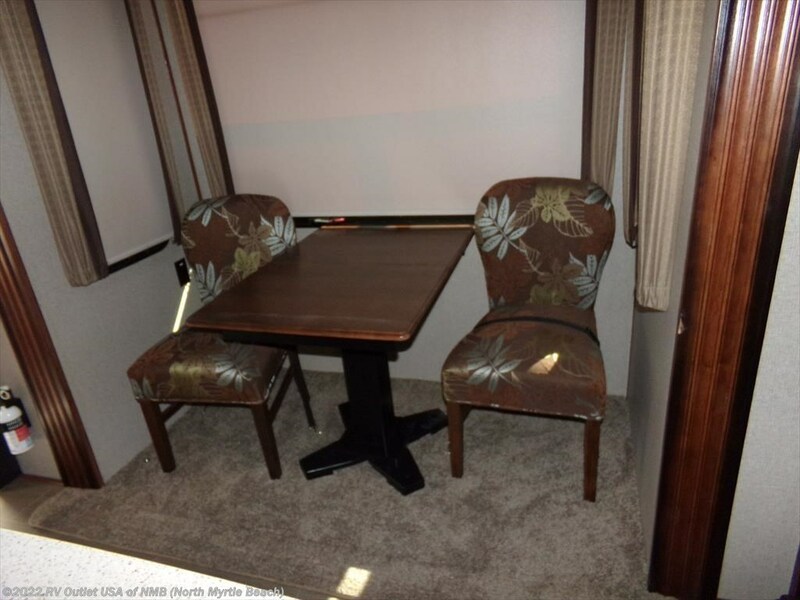 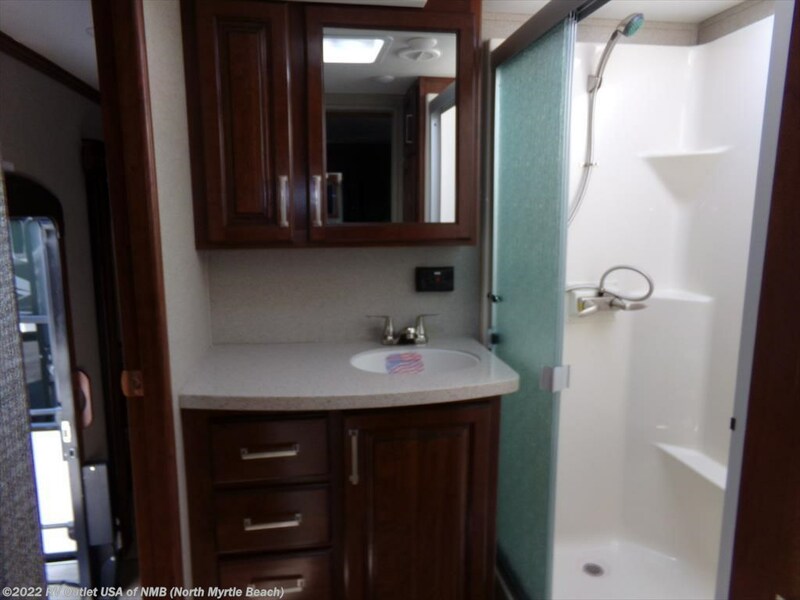 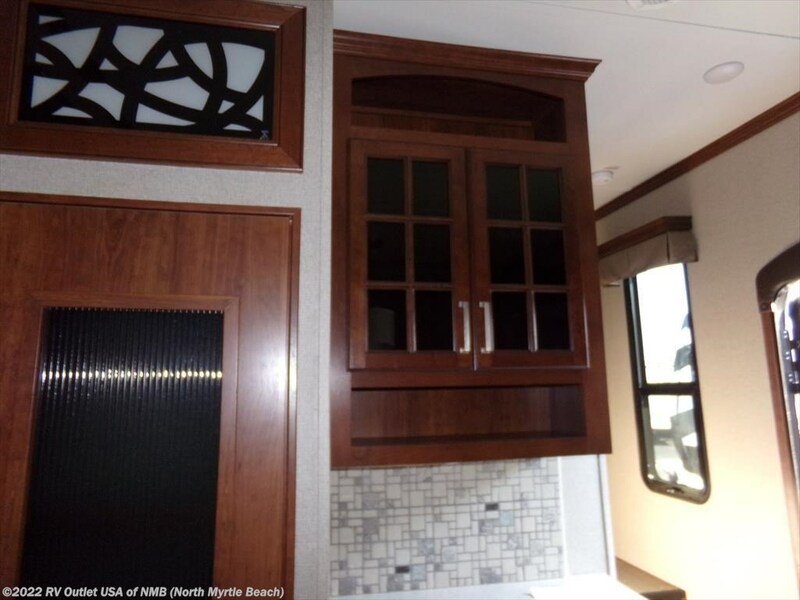 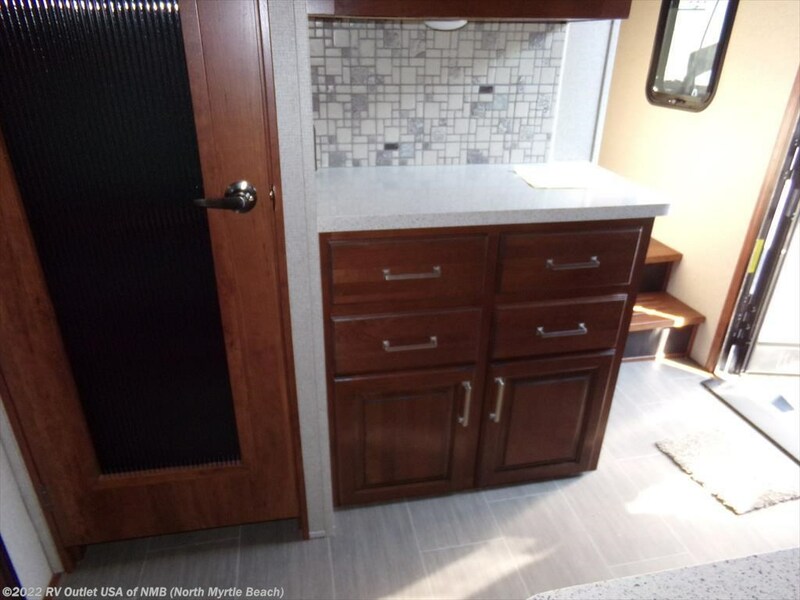 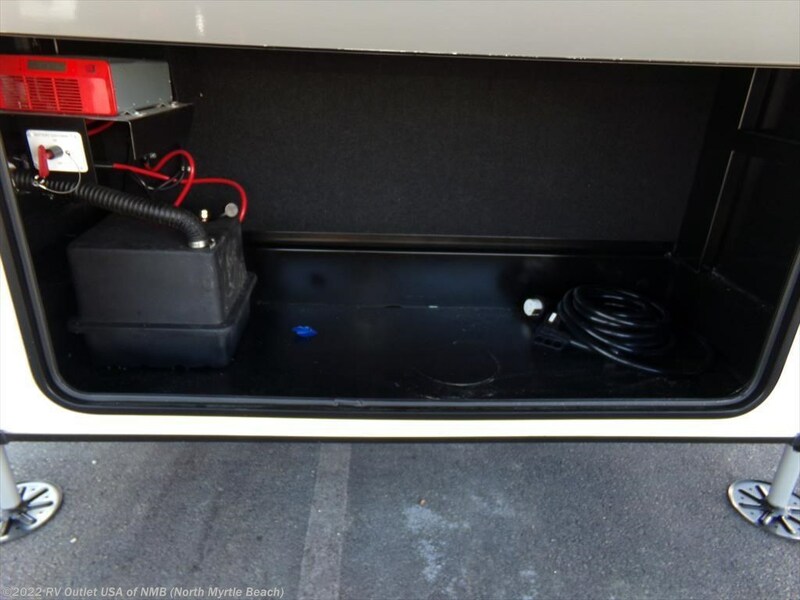 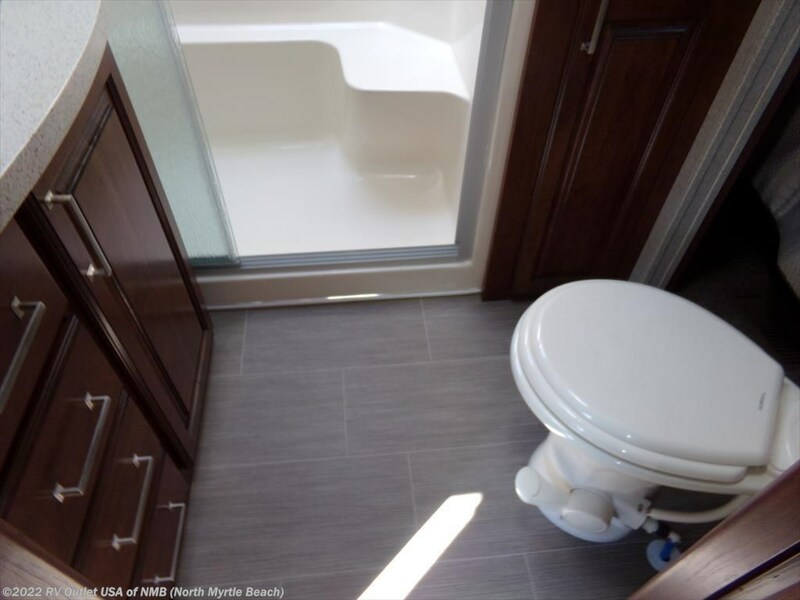 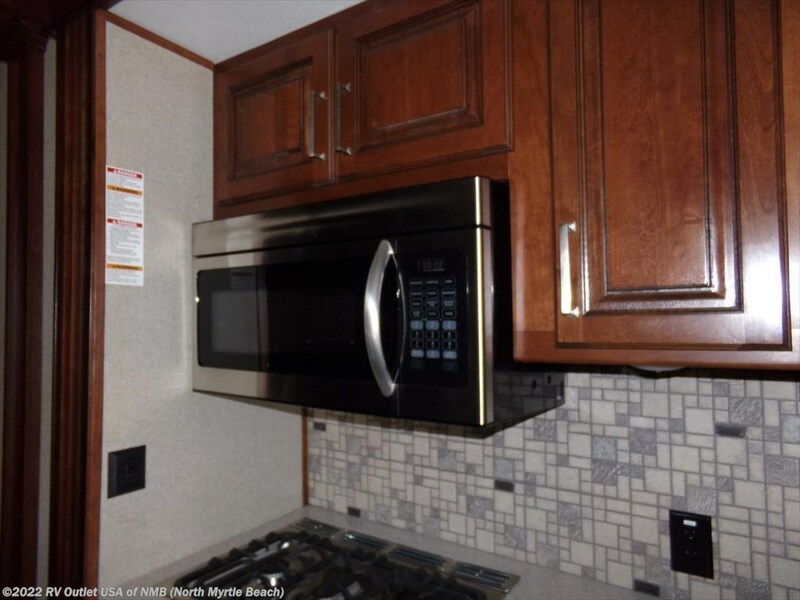 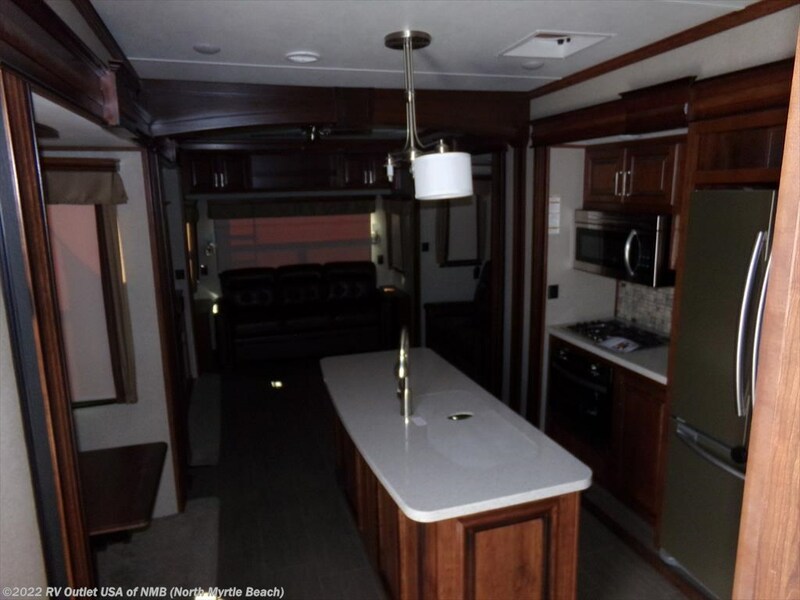 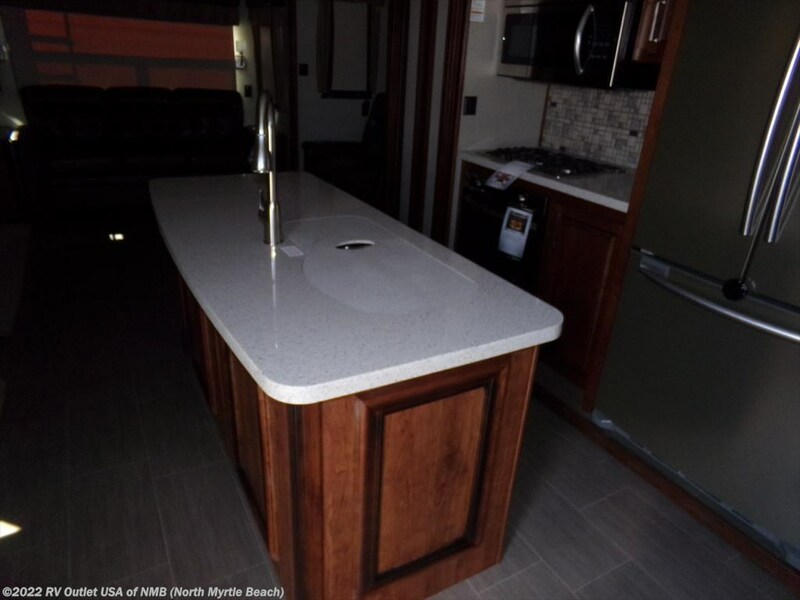 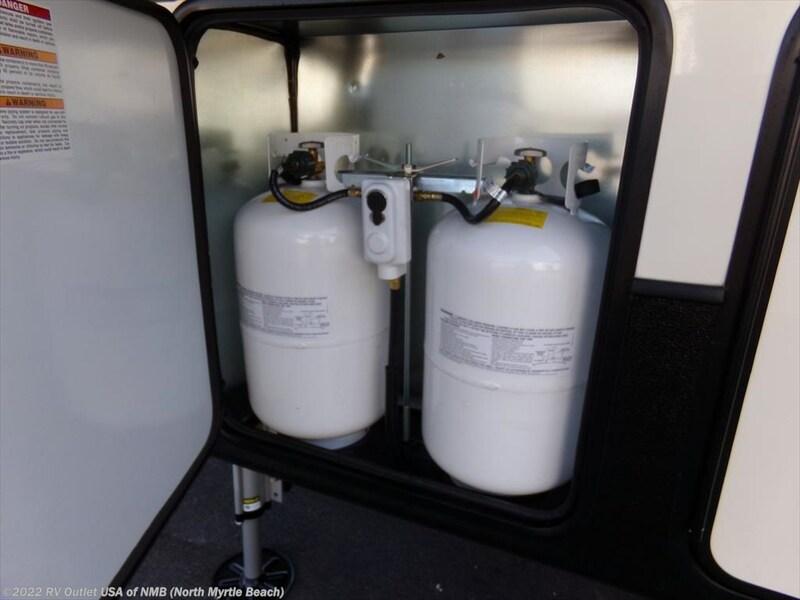 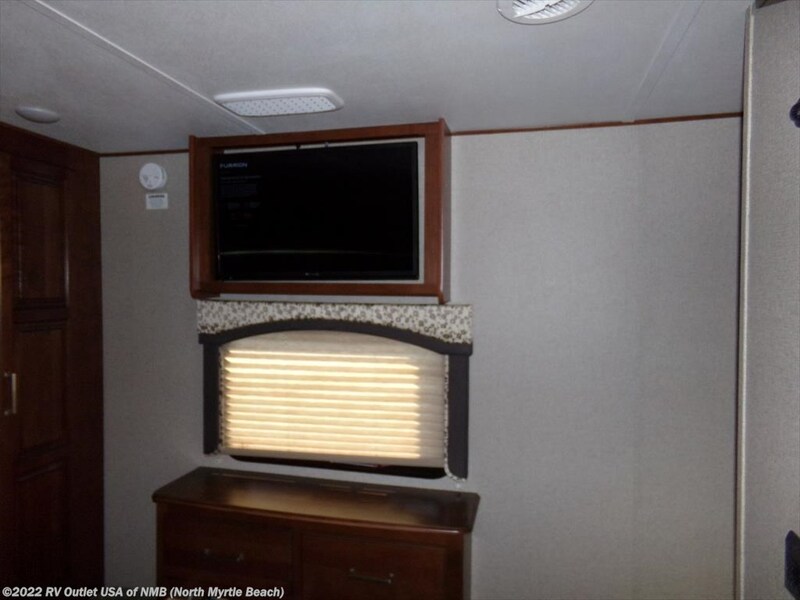 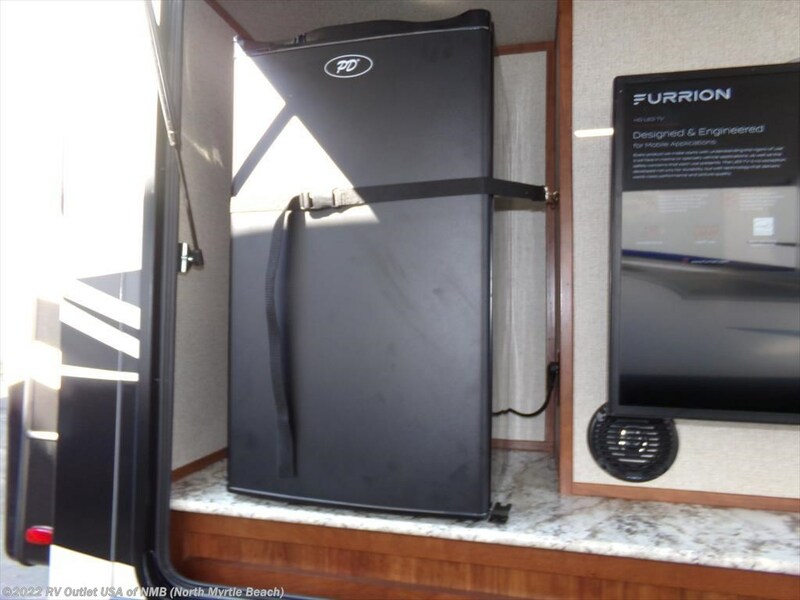 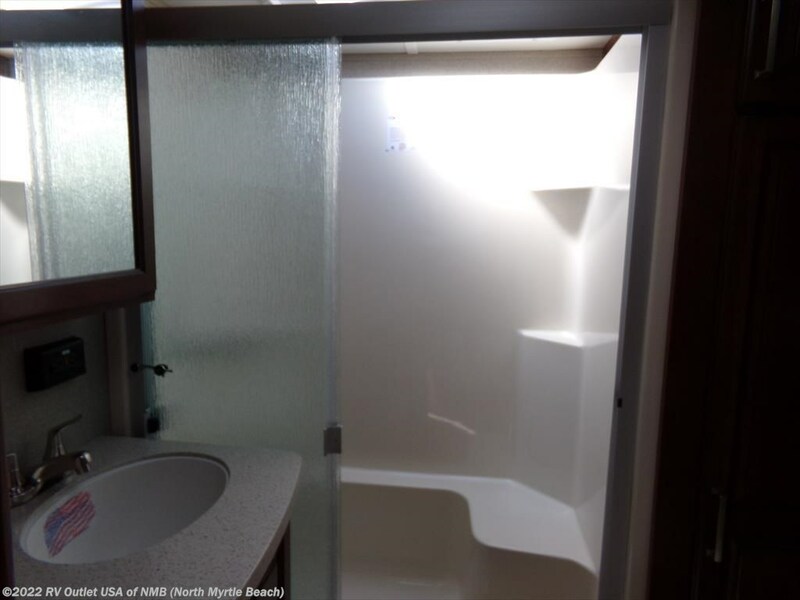 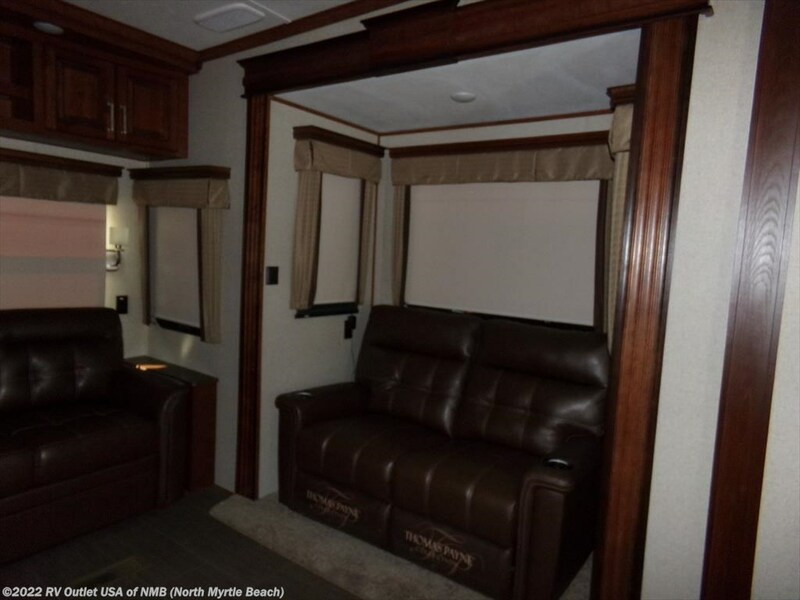 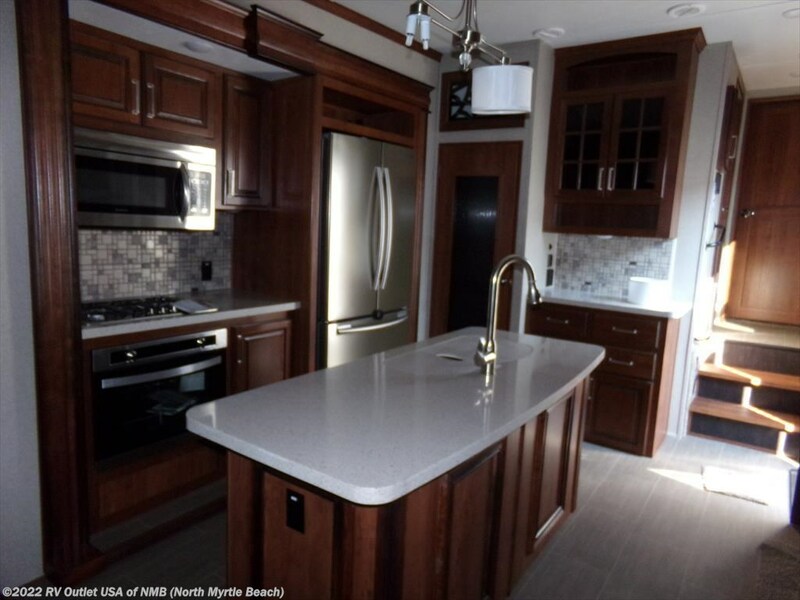 To the front of this RV is the bath that offers a large shower, cabinets above and below, sink and toilet.The front master suite has the bed on the slide that is on the off door side, large front wardrobe with room and prep for a stackable washer/dryer. 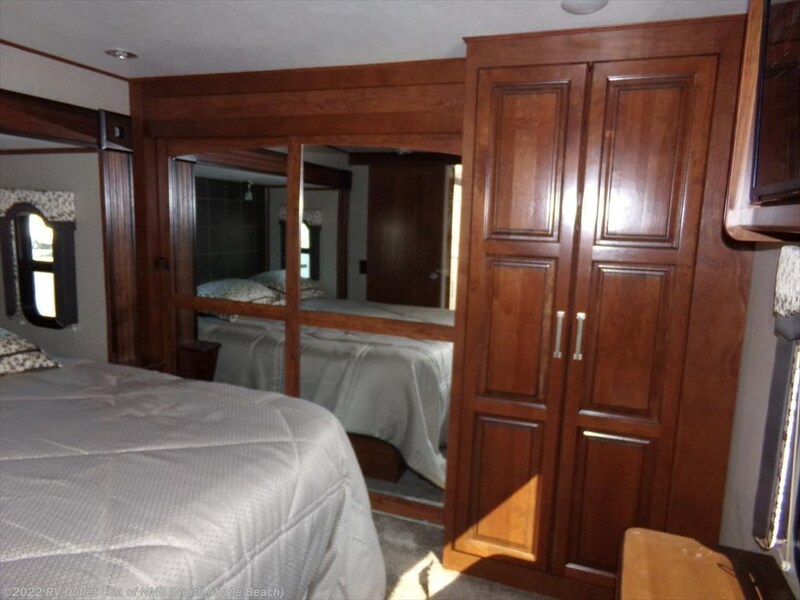 At the foot of this bed is a dresser.